In addition to charcuterie boards and grazing tables, Gourmandise has a Dessert Buffet that highlights Sunshineâs delectable artisan sweets. The made-to-order gourmet menu also has an assortment of cakes and pastries, bottled sauces, and handcrafted kitchen items. Mobile o917-883-2432; [email protected]; gmdbysunshine.com. Founded in August 2016, it's safe to say that Aperitif started the grazing table craze in Manila. What started as a grazing table service has since expanded into boxes, boards, and stations. 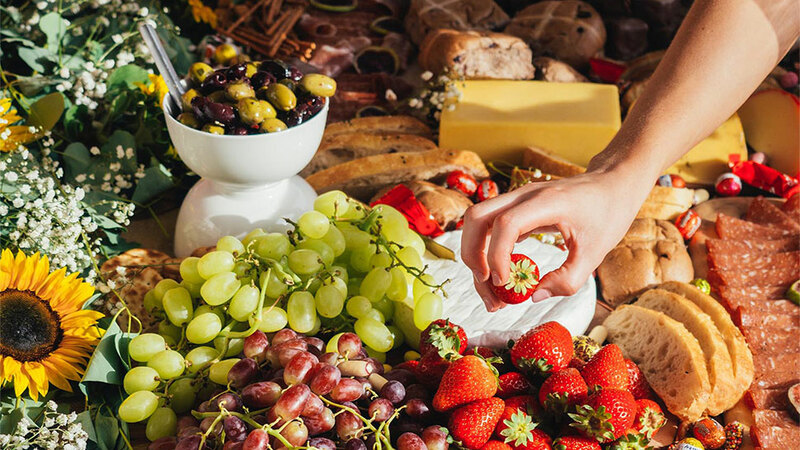 Still, Aperitif is best known for its indulgent grazing table which consists of a whole kilo of premium Italian cold cuts, five kinds of luxury cheese, dips and chips, bread and crostinis, nuts and dried fruits, seasonal fruit and dessert. Mobile 0917-573-7171; [email protected]; aperitifph.com. Clementineâs Cheese and Charcuterie Grazing Table comes with an assortment of soft, hard, and blue cheeses, cured meat, fresh fruit, crackers, and nuts. Perfect for any time of the day, the 30-person table comes with an iced tea and freshly brewed coffee bar. Clementine also offers a Cheese, Charcuterie, and Canape Grazing Table which is its original grazing table with the addition of croquettes, crostinis, choux puffs, tartlets, blinis, and petit fours. Mobile 0917-871-7123; [email protected]; clementine.ph.